Horiba UK has introduced the Yumizen G range of instruments and reagents, its first move into the haemostasis sector. It says these systems are user-friendly, efficient, and secure, providing high quality and cost-effective haemostasis for any laboratory. Yumizen G100 INR, the smallest analyser in the range, for point of care laboratories to monitor oral anticoagulants. Yumizen G200 and Yumizen G400 compact semi-automatic devices, designed to enable small laboratories to perform coagulation screening and D-dimer tests. Yumizen G800 automatic benchtop coagulation analyser for laboratories with mid-size workloads. Yumizen G1550 fully-automated, high capacity analyser for managing the coagulation diagnostics and monitoring requirements of clinical laboratories with mid- to high-workloads. 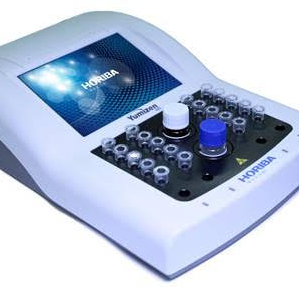 Cleve Wright, director of Horiba Medical UK, said: “By leveraging our expertise in haematology, we have broadened our scope in blood disease analysis into the complementary discipline of haemostasis”.